Among the most interesting games releasing in the future on Nintendo Switch is Super Mario Odyssey, which has been originally revealed earlier this year. Not much has been said about the game after its reveal, but some new gameplay footage finally managed to emerge online. 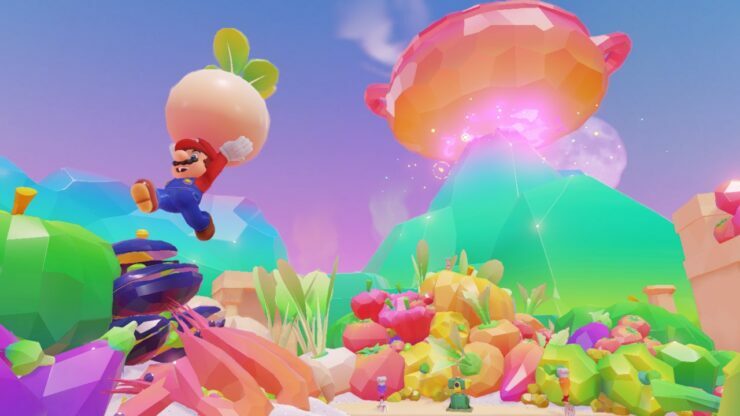 The new Super Mario Odyssey gameplay footage, which can be checked out below, showcases a never seen before desert world as well as New Donk City, which has been showcased during the game’s reveal. Quality is not the best, sadly, but it should tide fans over until more comes in on the game, which shouldn’t take too long with the E3 right behind the corner. Shortly after the game’s reveal, Super Mario Odyssey producer Yoshiaki Koizumi and director Kenta Motokura revealed some additional details on the game, confirming that its main theme is exploration and that development was considerably finished back in January. Even with so little information available on the game, Super Mario Odyssey is one of the most popular upcoming Switch titles. The trailer was among the most watched Nintendo trailers on YouTube, only losing to the Switch reveal trailer and the Breath of the Wild gameplay trailer released shortly before launch. Super Mario Odyssey launches during Holiday 2017 exclusively on Nintendo Switch. We will keep you updated on the game as soon as more comes in on it, so stay tuned for all the latest news.